Add some heat to an old classic. 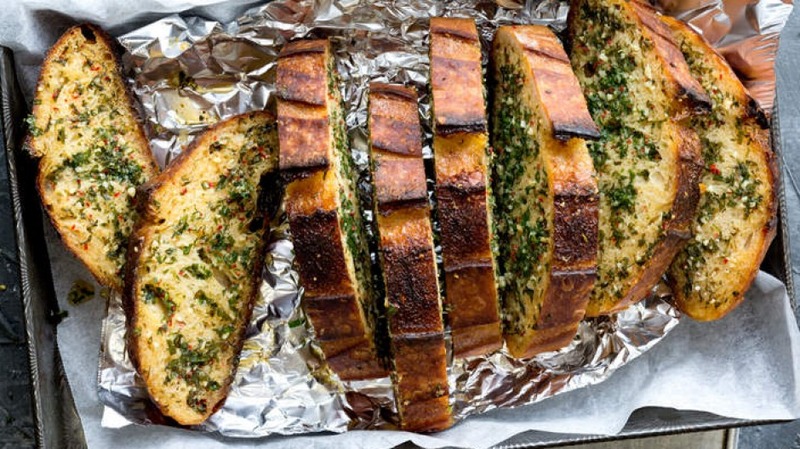 Our garlic bread - as the name suggests - is a doozy. This pairs well with a spicy main dish. Cut sourdough into 2-centimetre-thick slices. Add the grated butter, chilli, garlic, parsley, salt and pepper to a medium-sized bowl. Mix it by hand – the heat in your hands will help soften it. Spread it thickly onto one side of each bread slice and put the loaf back together. Wrap in aluminium foil and heat in the oven for 20 minutes.